1 of 3 Bring a large pot of water to a boil. Add snap peas; cook for 2 minutes. Drain and rinse under cold water. Set aside. 2 of 3 Crush 1-1/2 tablespoons of the raspberries through a strainer into a bowl. Discard pulp. Whisk olive oil, vinegar, salt, pepper and sugar into strained juice. 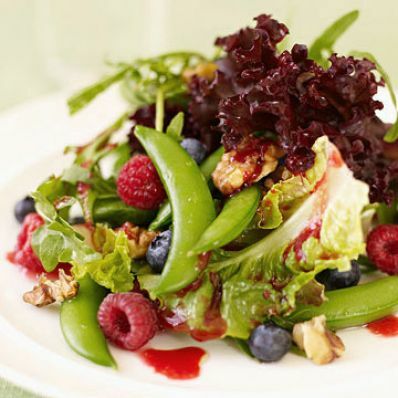 3 of 3 In large bowl, toss dressing with snap peas, remaining raspberries, blueberries, walnuts and lemon juice. 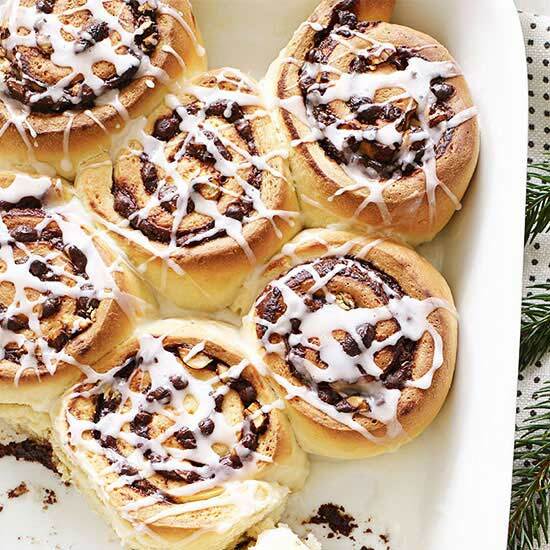 Cover and chill for 30 minutes. Toss with greens and serve.